Come for a day or stay for the full week. The Eco Weeks are a flexible fun, and sociable break from everyday routine. Relax with a book in a quiet shaded patio and enjoy the unique facilities or learn new skills from a range of interesting green workshops. The canyaveral or common cane grows prolifically in the areas by the river. 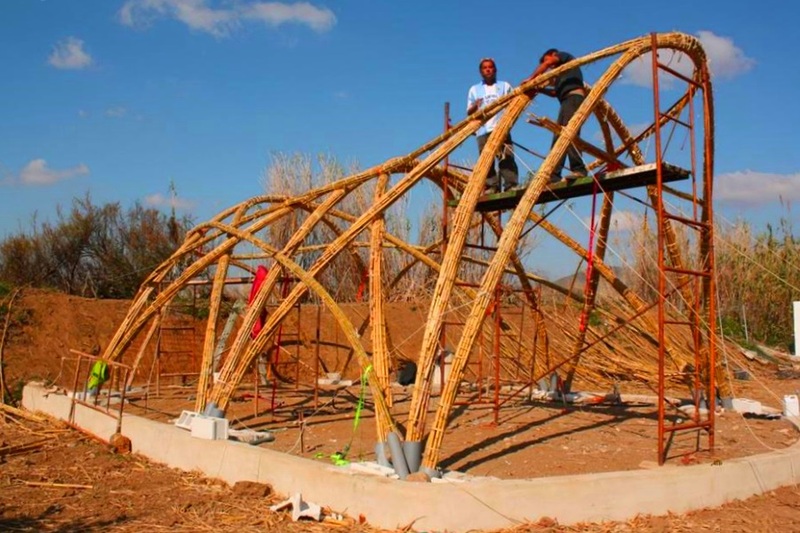 Cane is fast growing, flexible and strong, it is a very beautiful sustainable building material that can be used to create unique bio furniture and structures. Learn the skills needed to harvest the cane at the right time and how to bind and build with this fascinating plant. 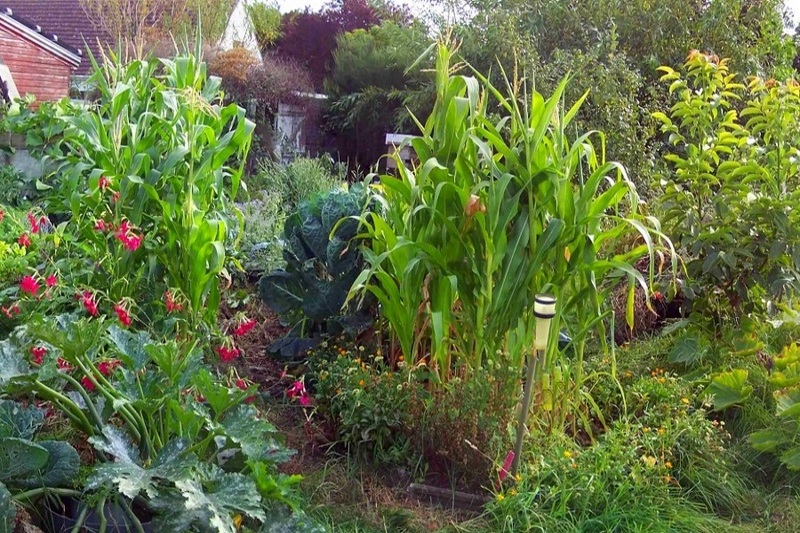 Learn the principles and techniques behind permaculture in a Mediterranean climate. Learn about the native edible plants that grow best in Andalucia, methods and materials to create natural shade and the best mulches to cover the earth to avoid water evaporation. Learn about the many and varied inventions that make use of our rubbish. From the industrial processes for recycling glass to the composting of organic produce. 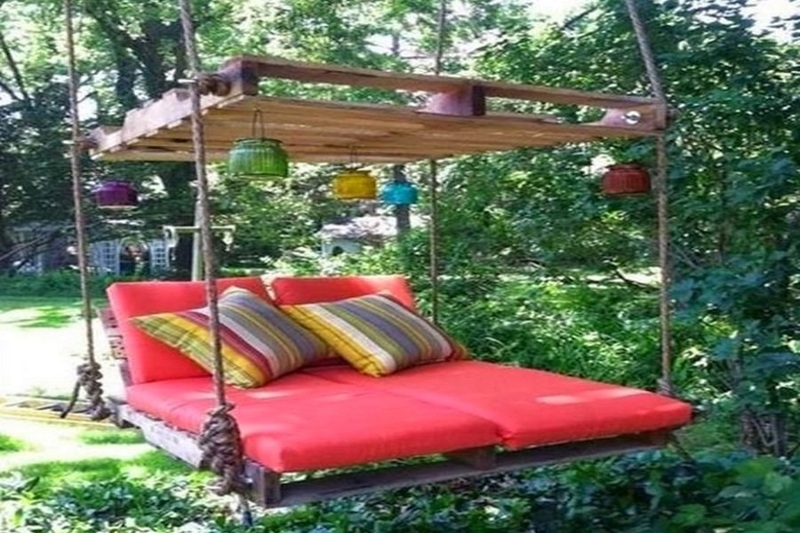 Reclaiming and recycling can be useful, interesting, fun and creative. We build bat boxes to help conserve the river ecosystem. The loss of habitat like old abandoned buildings with accessible cavities has led to a reduction in bat population. Small easily made bat boxes can provide homes for these fascinating natural mosquito repellents that eat more than 80% of their body weight in insects each day. 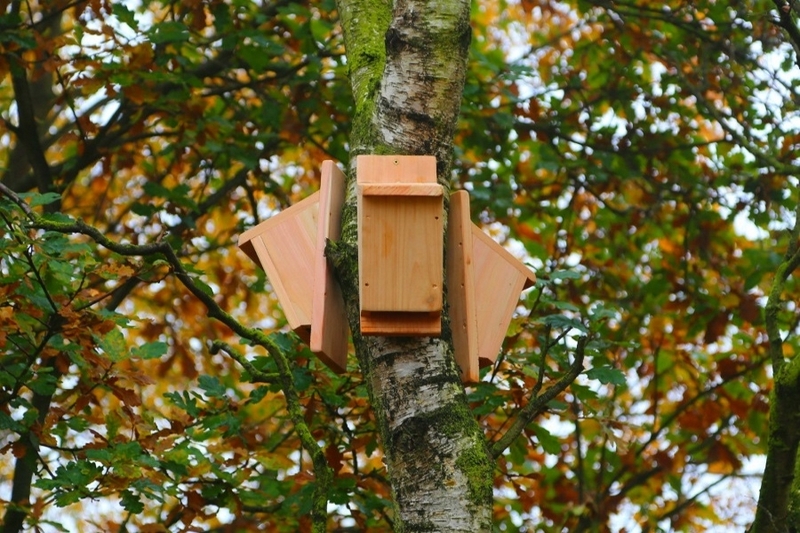 Learn how to make the bat boxes and where best to place them to attract a colony. The river and the natural life alongside it provide a perfect backdrop for art and photography. 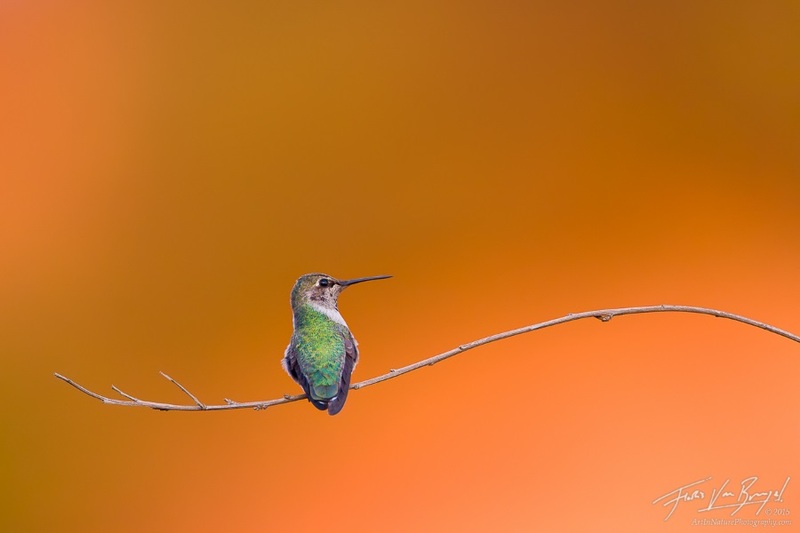 Share tips and techniques to improve your art and photography or just escape to find your own stimulation. By their very nature, Eco Weeks at Al Limón Ecolodge are an opportunity to learn how to play, work, eat and relax following a holistic lifestyle. For those who like to exercise, an Eco Week always includes a dedicated yoga or sports day. Beginners and experienced students are all welcome. With two yoga studios and so many onsite sports facilities, yoga and meditation practice or little sports tournaments are fun challenges that keep young and old active and entertained. All money earned from these Eco Weeks will go in its entirety towards the project of creating an edible forest on the neighbouring land. This reforestation programme will include all native fruit and nut trees that exist in Southern Europe and will be used as an educational facility for foreign students, local schools and children. Our Eco Weeks are eco-friendly, eco-nomical, healthy and interesting. They are open to small groups, families and individuals. 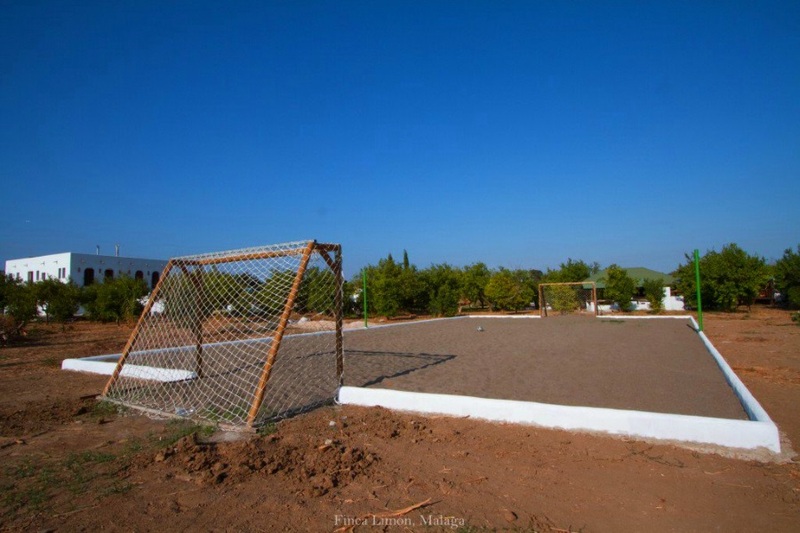 Apart from accommodation, all workshops, sports and yoga facilities are free on the part of Al Limón Ecolodge. Some teachers will charge a minimal fee to cover basic costs of materials and setup. If you have an eco theme subject that you feel can be of interest, please do let us know so that we can include it on the agenda.